SRINAGAR: At a time when district administration calls for availability of evening transport and talks about introduction of electric buses in Srinagar, many areas of the Shehr-e-Khas old are without any public transport service. It may sound strange but the fact is they have been living without any transport service since 1990. 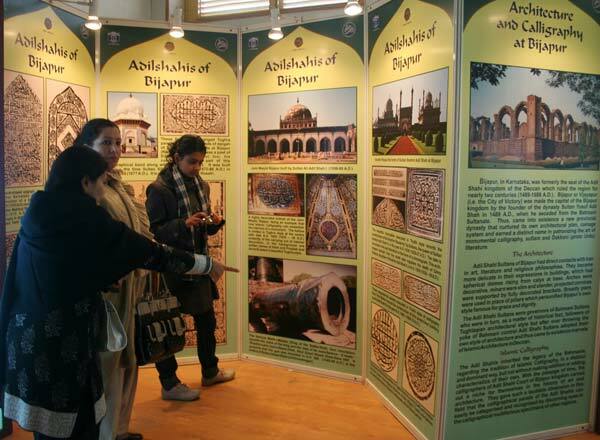 These areas include facing Tankipora, Habba Kadal, Nai Sadak, Basant Bagh, Mandir Bagh, Khanqa-e-Moullah, Fatehkadal and Karfalli Mohalla. Residents said these areas were connected through public transport till1990’s when those box-size mini-buses were in operation. They had actally replaced the horse-driven Tonga carts. However the services were stopped in later 90’s without citing any specific reason. “We never knew what caused the abrupt halt in the service. At that time we thought the decision was influenced by Pandit migration but it has been over two decades now and we fail to understand why our area sans the transport facility,” said Shakeel Ahmed, President of Mohalla Committee, Sheshyar, Habba Kadal. The inhabitants of these areas said they face immense inconvenience due to lack of transport facility. “With no buses or sumos plying on this road, the buyers hardly come here, and those who do, we have to sell them the commodities at lesser rates for they say that coming to this place by auto has already cost them extra money. Such is the condition of shopkeepers in this area that the majority of them have shut their shops and switched to drive auto rickshaws,” said Farooq Ahmed Shalla who owns a shop of electronic goods in Habba Kadal and also happens to be General Secretary of Mohalla Committee, Habba Kadal. Along with the business, the womenfolk of the area also suffer a lot due to transport problem. “I study at Women’s College, MA Road and everyday I face a lot of problem travelling to and fro. It gets worse when I happen to get late and I fear for my safety, walking down the roads,” said Huzaifa from Tankipora. The senior citizens have only two options, either to hire auto rickshaws and spend huge amount of money or pain their legs by walking long distances to reach their destination. The residents complained that despite approaching the concerned MLAs and DCs of successive governments, nothing was done to ease out their sufferings and they demand the restoration of public transport. “This is a huge area that is totally dead in transportation. So we appeal the government to look into our pending grievance of last 25 years,” said Zahoor Ahmad of Fateh Kadal. 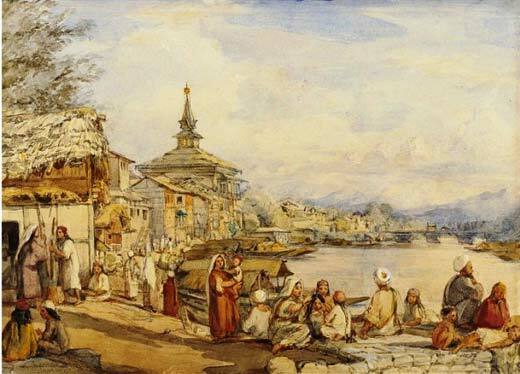 Near Khanqah-e-Moala: British colourist William Carpenter has drawn this picture during one of his three visits to Kashmir. Some people living in these belts are relying on two things for movemnet: either they have their own transport or they reach the outer roads to get the buses.